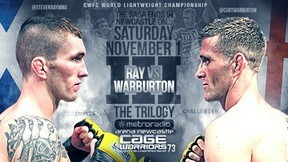 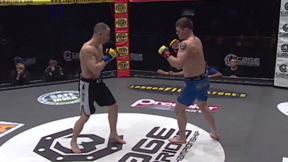 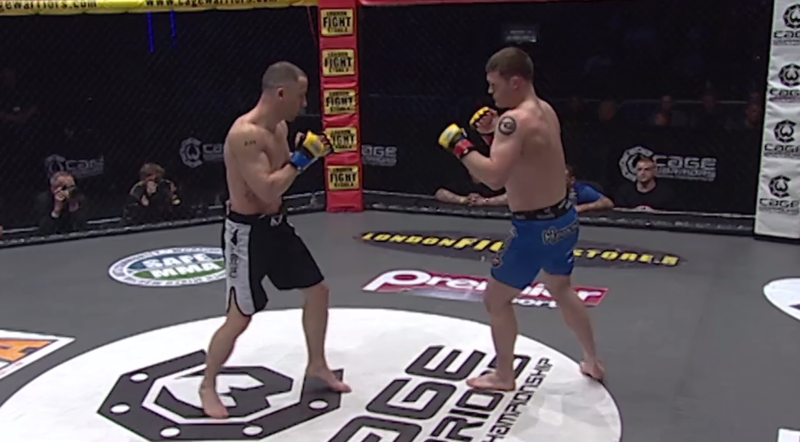 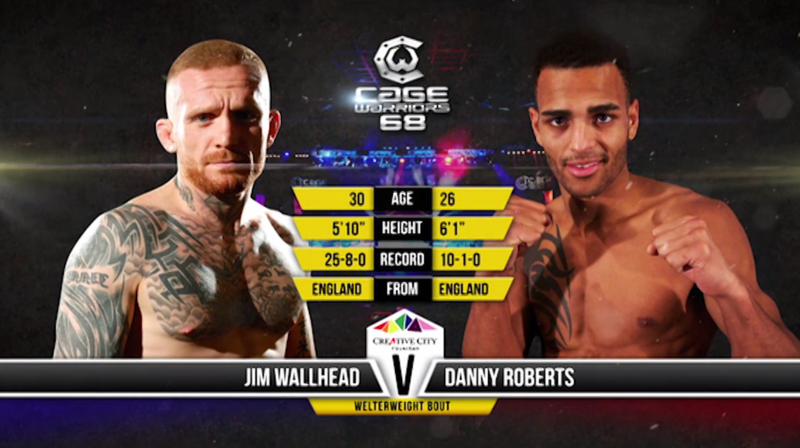 CageWarriors FC 68 from May 3, 2014 in Liverpool, England. 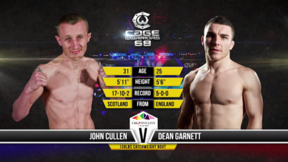 Jordan Chester vs Callam McVein Cage Warriors FC 68 Sat, May 3, 2014 (16:27) Jordan Chester vs Callam McVein at CageWarriors FC 68 from May 3, 2014 in Liverpool, England. 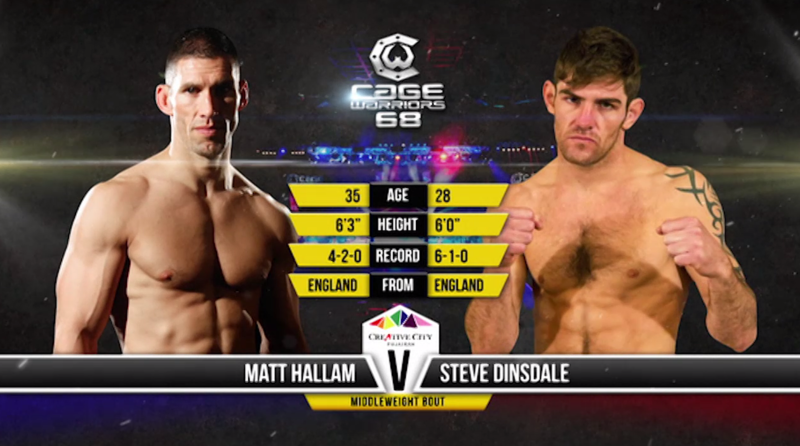 Molly McCan vs Stephany Quayals Cage Warriors FC 68 Sat, May 3, 2014 (18:49) Molly McCan vs Stephany Quayals at CageWarriors FC 68 from May 3, 2014 in Liverpool, England. 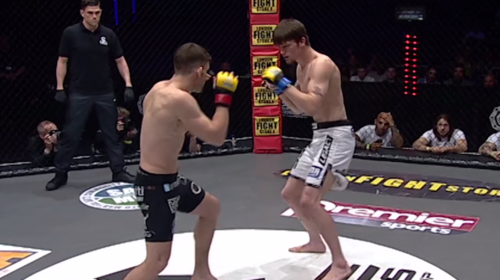 Azi Thomas vs Ellis Hampson Cage Warriors FC 68 Sat, May 3, 2014 (9:29) Azi Thomas vs Ellis Hampson at CageWarriors FC 68 from May 3, 2014 in Liverpool, England. 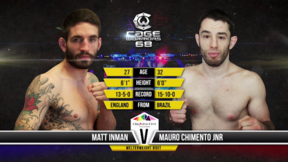 Adam Ventre vs Ant Phillips Cage Warriors FC 68 Sat, May 3, 2014 (6:31) Adam Ventre vs Ant Phillips at CageWarriors FC 68 from May 3, 2014 in Liverpool, England. 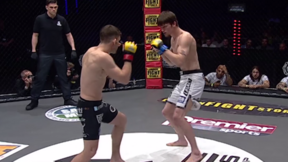 Dez Parker vs Charlie Watts Cage Warriors FC 68 Sat, May 3, 2014 (12:20) Dez Parker vs Charlie Watts at CageWarriors FC 68 from May 3, 2014 in Liverpool, England. 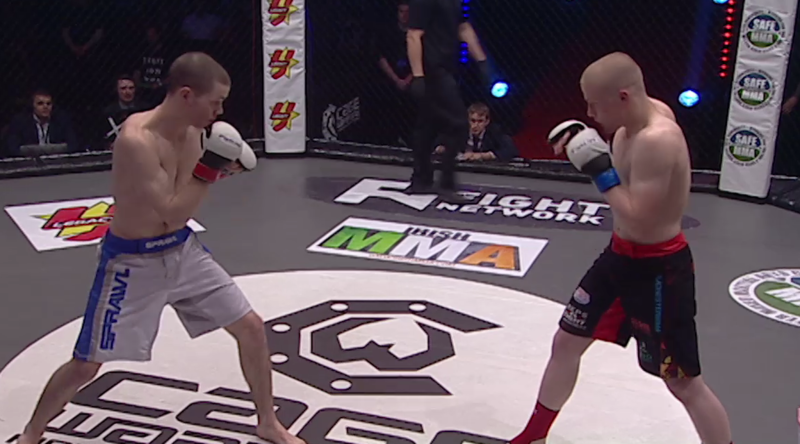 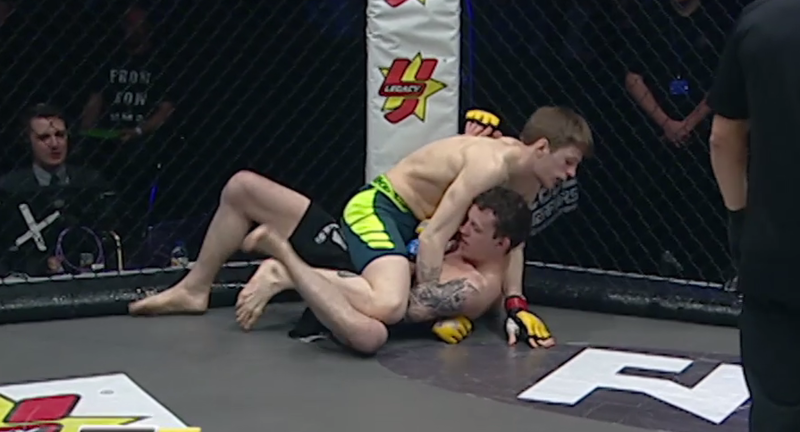 Paddy Pimblett vs Conrad Hayes Cage Warriors FC 68 Sat, May 3, 2014 (9:40) Paddy Pimblett vs Conrad Hayes at CageWarriors FC 68 from May 3, 2014 in Liverpool, England. 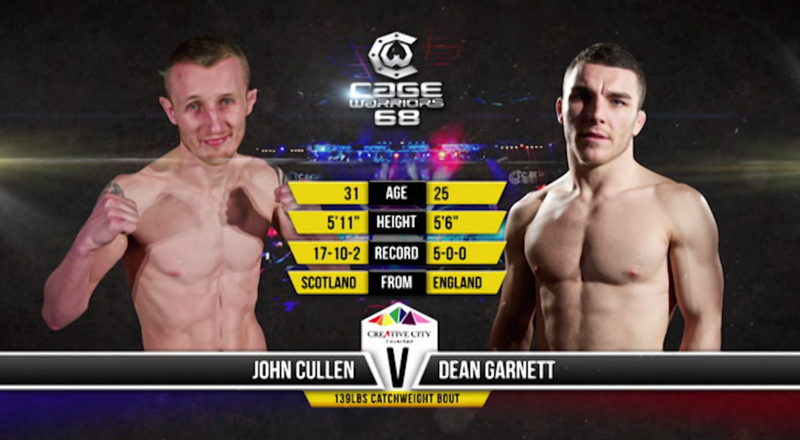 Dean Garnett vs John Cullen Cage Warriors FC 68 Sat, May 3, 2014 (12:34) Dean Garnett vs John Cullen at CageWarriors FC 68 from May 3, 2014 in Liverpool, England. 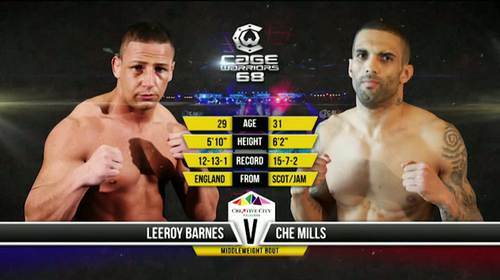 Che Mills vs Leerey Barnes Cage Warriors FC 68 Sat, May 3, 2014 (15:34) Che Mills vs Leerey Barnes at CageWarriors FC 68 from May 3, 2014 in Liverpool, England. 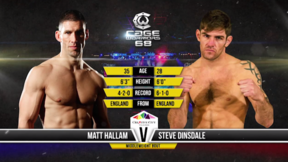 Matt Hallam vs Steve Dinsdale Cage Warriors FC 68 Sat, May 3, 2014 (18:19) Matt Hallam vs Steve Dinsdale at CageWarriors FC 68 from May 3, 2014 in Liverpool, England. 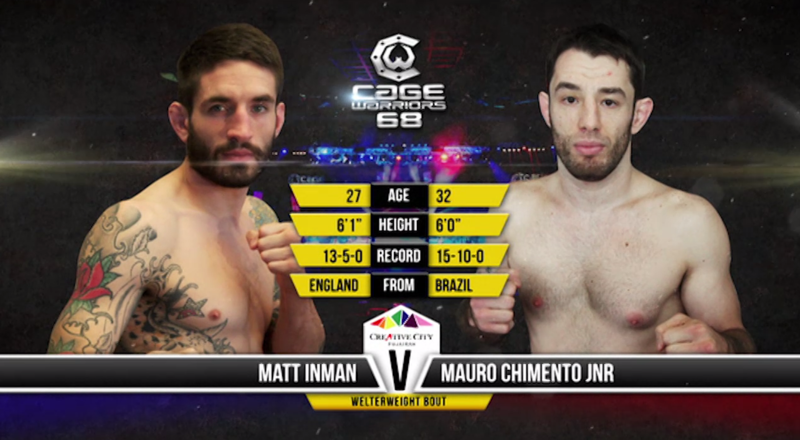 Maure Chimente vs Matt Inman Cage Warriors FC 68 Sat, May 3, 2014 (10:01) Maure Chimente vs Matt Inman at CageWarriors FC 68 from May 3, 2014 in Liverpool, England. 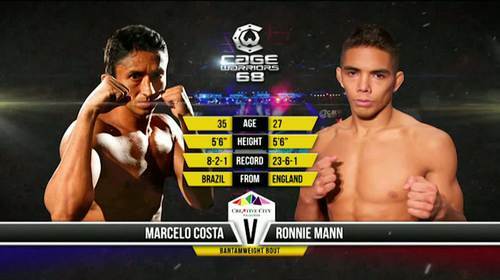 Marcele Costa vs Ronnie Mann Cage Warriors FC 68 Sat, May 3, 2014 (18:53) Marcele Costa vs Ronnie Mann at CageWarriors FC 68 from May 3, 2014 in Liverpool, England. 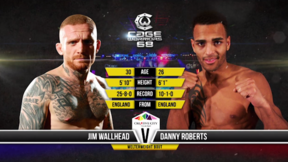 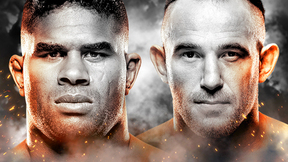 Danny Roberts vs Jim Wallhead Cage Warriors FC 68 Sat, May 3, 2014 (16:05) Danny Roberts vs Jim Wallhead at Cage Warriors FC 68 from May 3, 2014 in Liverpool, England.